The U.S. Supreme Court had ruled in Plessy v. Ferguson (1896) that segregation was legal so long as equal facilities were provided for both races. Because the facilities at the law school at the North Carolina College for Negroes (now North Carolina Central University) did not equal those at Chapel Hill, a federal court ruled in March 1951 that the white school must admit black students. 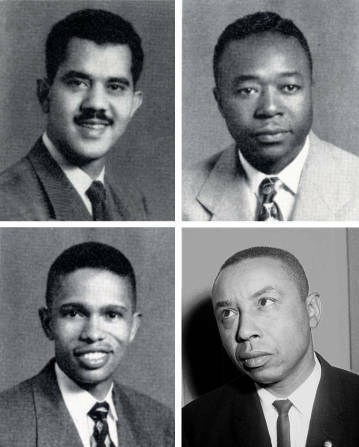 That summer, four black men attended law classes in Chapel Hill. They were given a separate floor in a residence hall and at first were not allowed in the swimming pools or in the student section at football games. Listen to an interview with Harvey Beech conducted by the Southern Oral History Program. Listen to an interview with Floyd B. McKissick Sr. conducted by the Southern Oral History Program.